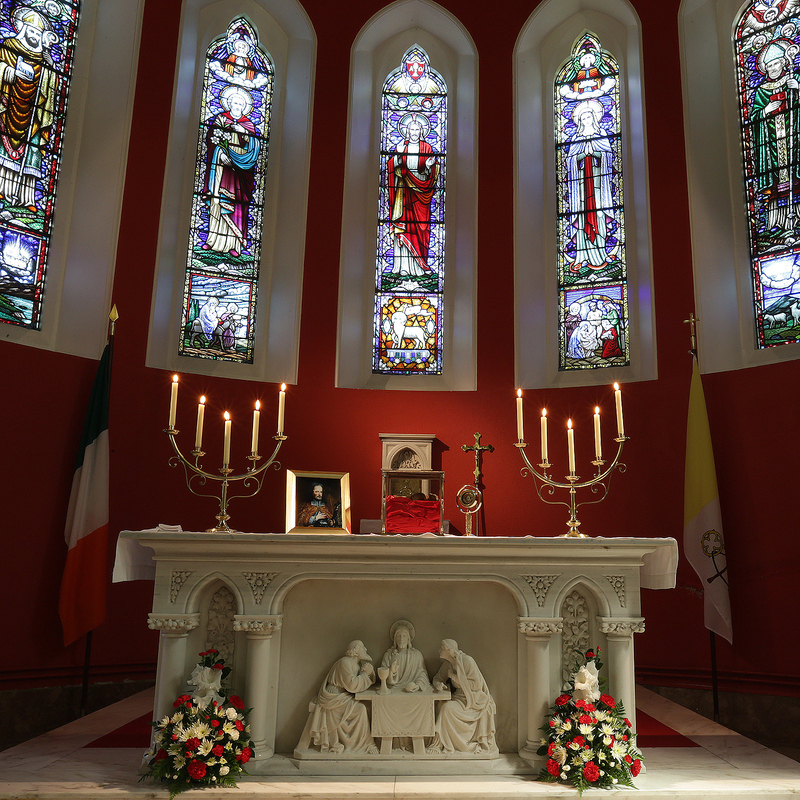 The relics of St. Oliver Plunkett will visit the Chapel of the Kilmore Diocesan Pastoral Centre, Cullies, Cavan Town, on Tuesday 6 June 2017. • The relics will arrive at the Centre at 10:00a.m. and will be available for veneration until 10:00p.m. that evening. • Sacrament of Reconciliation: 12 noon to 1:00p.m. ; 4:30p.m. to 5:30p.m. ; and 6:30p.m. to 7:45p.m. • Lunch-time Mass in the Chapel at 1:15p.m. will be offered by Fr. Kevin Fay, Chaplain to St. Patrick’s College and Loreto College in Cavan, for those doing examinations around this time. • Early-evening Mass in the Chapel at 5:45p.m. – Celebrant & Homilist: Fr. Ultan McGoohan, Diocesan Director of Pastoral Services and CC, Teemore, Co. Fermanagh. • Mass at 8:00p.m. – Principal Celebrant & Homilist: Most Reverend Leo O’Reilly, Bishop of Kilmore – The choir of St. Mary’s Church, Carrigallen, Co. Leitrim will provide Sacred Music for this Mass. • Petitions/Offerings may be sent to the Kilmore Diocesan Pastoral Centre, Cullies, Cavan. All petitions received will be placed beside the relic during its visit. These and the intentions of all pilgrims will be remembered during the three Masses offered during the day. Please make envelope “Petitions” in the top left hand corner. All are welcome for this very special event. 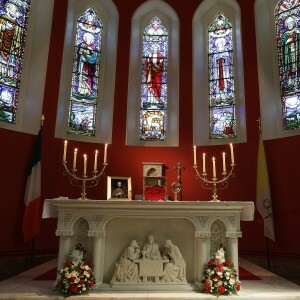 The relic of St Oliver Plunkett on display at the chapel of the Kilmore Diocesan Pastoral Centre. Photo: Adrian Donohoe.